Once again it’s time. Time for all of us to fill out a bracket, drop some knowledge on college basketball and get beat by our 8-year-old niece in the family pool. The NCAA Tournament is always a fun time to take sick days and day drink while watching basketball. Before you do, take a look at my March Madness preview for upsets and Final Four predictions. Also, don’t forget folks, #IntegrityBracket. This region may be the easiest path for a #1 seed. Now that I’ve said that, Villanova may lose in the second round. I absolutely love Purdue in this region and they have a great setup. I wouldn’t expect too many, if any, upsets here. So let’s get to the first region of the 2018 NCAA Tournament. Do I really think this happens? Not entirely. The Crimson Tide certainly played their way into the tournament and Collin Sexton is one helluva player. I do think Alabama makes it past Virginia Tech and they give ‘Nova a great test. However, Jay Wright is a tremendous coach and Jalen Brunson is a STUD. You should 1000% watch this game cause the Tide is rising and next year’s NCAA Tournament will be that much more fun. This matchup is pure chalk, yes, but it’s also an amazing regional final. Two teams ranked in the top-5 in Basketball Power Index (BPI), each with great outside shooting ability. Between the aforementioned Brunson and Purdue’s Carsen Edwards, expect a bunch of threes going up. The Boilermakers have a leg up in the paint with Isaac Haas but freshman Omari Spellman will be a fun matchup for him. Bigger help will be the tremendous guard play that the Wildcats have. I love this Purdue team so much. Almost enough to pick them to win it all. There’s a difference between experience and “big game” experience. The teams and coaches that have the most time in those big games will succeed. In this region, nobody better than Jay Wright and the five-time defending Big East champions. With Virginia as the overall #1 seed in this NCAA Tournament and a sentimental favorite for the title, a lot of people will be hoping for chalk here. But, there a couple others to have an eye on. Including a pair of impressive SEC teams and maybe the biggest seeding snub. Do you want your best shot at Cinderella? Here it is. The Ramblers haven’t been dancing since 1985 but they sure as hell earned their spot this year. They have a tremendous defense and four players shooting over 50% from the floor, each averaging at least 10 points per game. 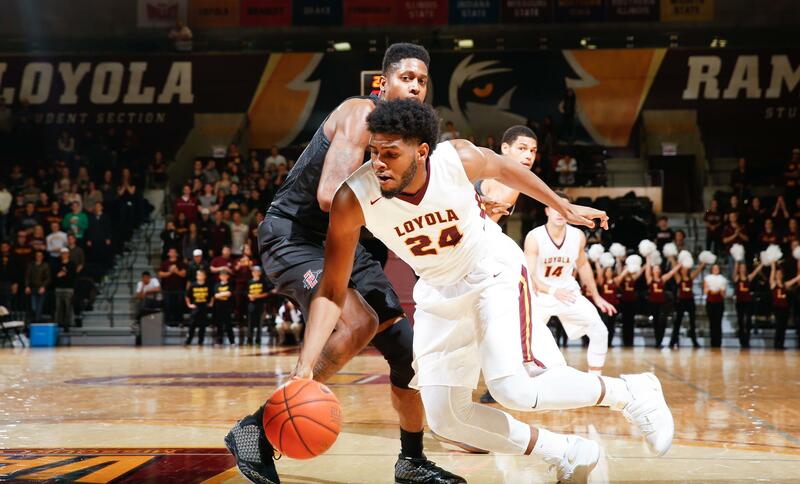 Loyola-Chicago will definitely beat Miami in the first round without top dog Bruce Bowen, Jr. Whether or not they beat the Volunteers will depend on how much Tennessee’s offense fades away like it did against Kentucky in the SEC Final. 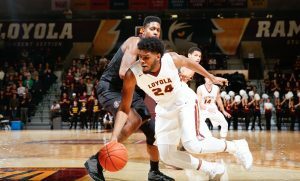 Loyola-Chicago is easily the best chance at Cinderella this year. In my opinion, the Wildcats are playing the best basketball out of anybody right now. For as much as I dislike John Calipari, his coaching job has been beyond phenomenal this year. Shai Gilgeous-Alexander is an unreal Canadian freshman with boatloads of talent. Pair that with Kevin Knox in the paint and Kentucky can make some serious noise. However, to most of the world, Arizona has gone unnoticed due to the time difference. If you only know Deandre Ayton cause of the wire-tapping claims, you’re missing out. Kid averages a double-double and is going to look really good in a Cleveland Cavaliers uniform this fall. The old cliche is “defense wins championships” and the Cavaliers play defense better than anyone. As talented as teams like Cincinnati, Kentucky, and Tennessee are, Virginia is just better. Kyle Guy has a year of experience under his belt and the confidence of this team’s dominance all year long has to have them flying high. They really do have a favorable path to San Antonio and they’ll probably take it rather simply. Alright, I’ve got a bone to pick with this region. I did not think Xavier deserved a top-seed (Cinci should have). If North Carolina had won the ACC Tournament, they would have gotten it. This region is the most up in the air in my opinion and should prove quite entertaining. First-round matchups will always be interesting, especially in the 5/12 games. Only four times in history have we gone through the first round with a #12 failing to pull an upset. The Jackrabbits have a point differential of +11 this year and their big man Mike Daum dominates down low. I’m very iffy on Ohio State. You can’t beat Michigan State by 16, split meetings with Michigan and then lose three times to the embarrassingly bad Penn State. Head Coach Chris Holtmann has done an amazing job with the Buckeyes but the popular move is to pick SDSU. Go for it. It’s always nice when you get chalk meetings late in the tournament because it really is the best case scenario if you want a good game. And this may be the game of the tournament. Watching the ACC tournament I really enjoyed Theo Pinson. His court vision is tremendous and it makes Luke Maye and Joel Berry II so much more dangerous. Add in Cam Johnson and the defending NCAA Tournament champs are insanely talented. Meanwhile, the Wolverines have a three-headed monster of their own. 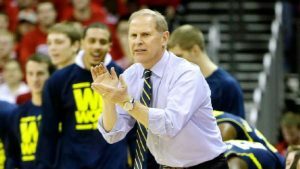 Not to mention John Beilein is a great tournament coach and they don’t have much of a roadblock on the way to the Sweet Sixteen. John Beilein has the Wolverines primed for another deep tournament run. If it wasn’t for the Big Ten tournament being a week earlier, I’d consider the Wolverines the team playing the best right now. They still are playing well having won 11 of their last 12 games, including another tournament title. Most importantly, they have the best tournament experience of anyone in the bracket. Moritz Wagner, Muhammad-Ali Abdur-Rahkman (great name), and Charles Matthews is a three-headed monster. Welcome to the biggest wildcard part of the bracket. 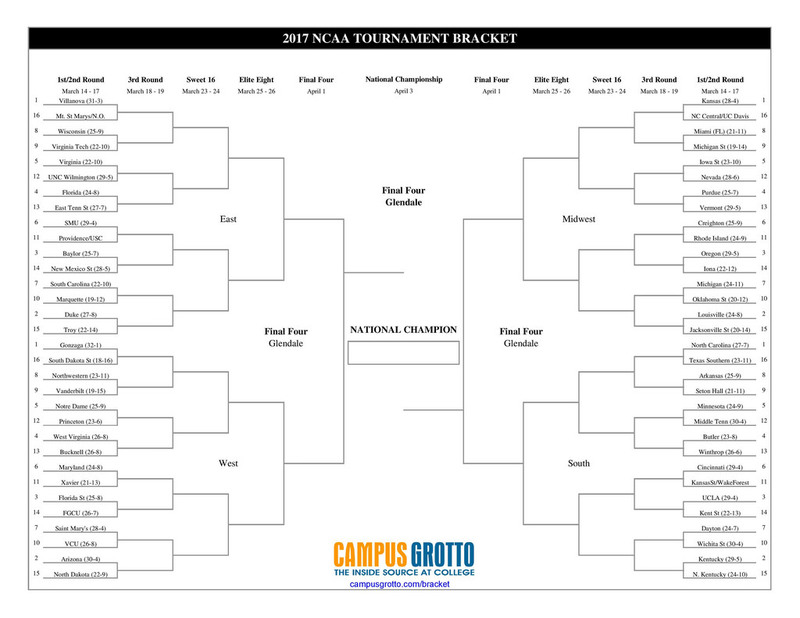 There are multiple national championship contenders in this region and the best chance for your bracket to get busted. I see four potential champs and the most intriguing possible upset. Listen, I firmly believe that IF Arizona State advances past Dayton, they take down TCU and advance to the second round. However, they will lose to Michigan State. This makes an incredibly experienced Seton Hall squad my favorite potential upset pick of the tournament. If Udoka Azubuike is still out with an ankle, it makes the pick that much better. Seniors Khadeen Carrington, Angel Delgado, and Desi Rodriguez want to go out on a high note. The question is if their head coach, Kevin Willard, will let them. Pre-season Player of the Year in my opinion. Might lead his team to the title anyway. This might actually be the national championship game before we even get to San Antonio. The Blue Devils have been the most intriguing team down the stretch, dominating in a number of ways. They also have the best freshman (maybe player) in the country in Marvin Bagley III. Add both Wendell Carter, Jr. and Grayson Allen to the mix and they may be the most talented team in the tourney. That is until you look at the Spartans. With my preseason pick for Player of the Year in Miles Bridges, Nick Ward, Joshua Langford, and more, Michigan State plays great at both ends. Yes, Coach K got the win earlier this year but March is made for Tom Izzo. 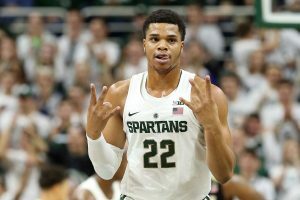 I picked Sparty at the start of the year to win the national title so naturally, they are going to advance to the Final Four. Should they get past Duke, a matchup with Kansas will be like practice to them. Michigan State is a well-experienced team with just enough youth to play without concern. Plus, it’s Tom Izzo in the NCAA Tournament. Good luck betting against him. Want to hear more from Christian? Follow him on Twitter or check out his podcasts “Press Row” and “The Cheap Seats” to learn more.